OFM Computer World − is a legalized registered company in Europe with REGON/ REGISTER Number: 281412740. In USA and Ghana we are registered as OIL FIELD MINISTRIES. Therefore we have all those divisions such as TV-Radio Application, Face book Apps., OFM-TV.COM, Ability OFM Radio, OFM University College of missions etc. Do you have a vision to own your Radio or TV studio? Just contact us for a good package. As Google Publishers, we convert visitors into Customers and Money making. OFM Computer World, we understand what motivates people to visit your site online, and what owners want from their web-sites. Our focus is not just a beautiful website but a site that can generate money, even when you are sleeping or away from office. We also impact the right blueprints of our contained DNA (deoxyribonucleic acid), so that you become a family of OFM Computer World, which will give you the ability of Entrepreneurship - The capacity and willingness to develop, organize and manage a business venture along with any of its risks in order to make a profit. The most obvious example of entrepreneurship is the starting of new businesses. In economics, entrepreneurship combined with land, labor, natural resources and capital can produce profit. Entrepreneurial spirit is characterized by innovation and risk-taking, and is an essential part of a nation's ability to succeed in an ever changing and increasingly competitive global marketplace and also the effective and affordable way to attract new clients and also keep existing clients. With us, a stunning website design is just the beginning…. And will it convert visitors into customers? If the answer isn&apos;t Yes, then we keep working till we find a solution. Whether you need to blow away competition, launch an ecommerce store or require a stunning brochure website to inform people about what you do, we will find a solution for you. Advanced ecommerce software that&apos;s packed full of features giving you full control and flexibility. Fully compatible with different payment systems such as PayPal and much more. Most people don&apos;t understand how online marketing works. It is an effective and affordable way to attract new clients and also keep existing clients. We take time to learn about your business, talk to you and conduct research to help us create a campaign that will attract customers. Some of our clients or featured works are: ABzionRadio.com, Accra24.com, AfricaChurches.com, AdomFie.com, GhanaChurch.com, AkanTwi.com, AirLondonRadio.com, AfricRadio.com, RecordFMradio.com, NigeriaRadioStations.com, AfricRadio.com, CeePoku.com, GhanaDom.com, GhanaPa.com, HallelujahRadio.com, OkayGhana.com, OnaapoMusic.com, GhanaSky.com, GhanaZip.com, GHtv Holland, MaameBroni.com, AdomTrotro.com, AbbaAgya.com, GHtvAbroad.com, Nwanwani.com, MyOwnHouse.De, RevDavidAsabere.com, Redeemed Christian Church of God, TrinityRockChurchInternational.com, QueenLet.com, ike−logistics.com, Seek Him Radio − Spain, AB Zion Radio, Afric Radio UK, Air London Radio UK, Agyenkwa Radio, Kings Way Radio, Evangelist Bright Radio, Akosua Apedwa Radio, Free Will Christ Radio, Adwenpa Radio, Heroes Radio, Ability OFM Radio, PanAfric Radio - UK, AB Favour Radio - Germany, EB TV, Maam Broni Music, Christian Action Faith Ministries, Edinkafo Radio, Tema Market − Hamburg, Bechem Citizen Union, Christ Apostolic Church, Family Life Chapel - UK, Redeemed Christian Church of God - UK, Word Of Faith Outreach Ministry, Nkunim Radio - Belgium, Trinity Rock Church International etc. We are currently the main agent of "Audio Now" among Ghanaian Communities across the globe. Contact us for a Special Telephone number for your Radio Station. "Call to listen" is now taken over all the major method of marketing Radio stations. To listen to any of our clients` Radio Stations, CLICK HERE FOR OVER 500 RADIO STATIONS DATABASE, WE WILL ADD YOURS FREE! - GET IT ON GOOGLE PLAY STORE - 10,000 ALREADY INSTALLED, SO DOWNLOAD NOW! We are highly confident on our services and ability to offer quality work at Affordable price. To Get Free Quote for our fast and reliable TV and Radio Streaming and Web-Hosting Servers, E−Mail us at info@ofmcomputerworld.com - OFM Computer World, before you ask, we deliver your request! Is a legalized Registered company in Europe with REGON/ REGISTER Number: 281412740. For any info contact the office. In USA and Ghana we are Registered as OIL FIELD MINISTRIES. Our services are…. 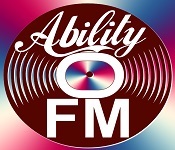 Ability OFM Radio plays Africa, Local genre of music from Ghana, Kenya (Swahili ), Uganda, Nigeria, Togo, South Africa etc . Also Polish and International music. We are the main company that Setup Radio & TV Studio. 8.Code Writing such as HTML, XHTML, SQL, CSS, Java Scripts etc. 10. Programmed Navigation such as Tom-tom. 11. All STATIONERY services like Invoices, Flyers, Banner making, Business Cards, Wedding cards, Power Point Presentation, Brochures, Certificates etc. 14. ESCAPE computer viruses, Spy−ware, Hackers, Root kits, Worms and Trojans. 21. Fresh Windows installation with all needed drivers, which are not installed from shops, where one buy`s computer. Meaning, most computers in the shops are mostly old in-terms of software. 22. We already have windows 8 installed on our computer as a partner of Microsoft, so all those who need windows 8, should contact us before 2013. 27. Android on your PC − Meaning we can let you have all you have on your android mobile phone, on your normal PC or laptop. 34. Music Mixing − All musicians can contact our office for music production. 37. All services toward any modern mobile phone or tablet or iPhone or Smart Pad, i Pad etc. 44. Advertisement − We can take your company to the top because of world wide website system across the Nations. And also help you advertise on other companies website etc. But for your personal LIVE streaming or On−Demand internet broadcast, you may need to talk to us. Day−to−day task of updating and maintaining website. OFM Computer World − is a legalized registered company in Europe with REGON/ REGISTER Number: 281412740. In USA and Ghana we are registered as OIL FIELD MINISTRIES. Therefore we have all those divisions such as TV-Radio Application, Face book Apps., OFM-TV.COM, Ability OFM Radio, OFM University College of missions etc. Do you have a vision to own your Radio or TV studio? Just contact us for a good package. "Ability OFM Radio" - is Europe based radio station that plays Africa, Local genre of music from Ghana, Kenya (Swahili ), Uganda, Nigeria, Togo, South Africa etc . Also Polish and International music. We are the main company that Setup Radio & TV Studio. "Ability OFM Radio" - is Europe based radio station that plays Africa, Local genre of music from Ghana, Kenya (Swahili ), Uganda, Nigeria, Togo, South Africa etc . Also Polish and International music. We are the main company that Setup Radio & TV Studio. Contact "OFM Computer World" at info@ofmcomputerworld.com for fast and reliable streaming and hosting servers.